The BBC is launching a pop-up radio station on digital radio this November dedicated to jazz. 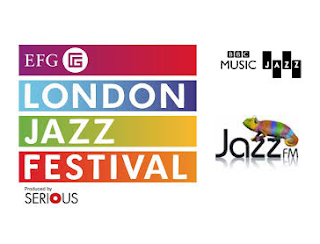 For the first time ever, the public broadcaster will team up with commercial station Jazz FM for the temporary service, which is also a collaboration with the EFG London Jazz Festival. BBC Music Jazz will feature Jamie Cullum, Julian Joseph, Clare Teal, Craig Charles, Helen Mayhew, Jez Nelson, Geoffrey Smith, Claire Martin, Chris Philips, Alyn Shipton and many other household names, plus a live simulcast of BBC Radio 3's EFG London Jazz Festival coverage and Jazz FM’s rare archive coverage of Ella Fitzgerald in concert from the 1990s. Listeners will be able to access "BBC Music Jazz" from 2pm on Thursday 12th November through to midnight, Sunday 15th November 2015. The pop-up station will also appear on the BBC iPlayer Radio App. However, the station will not be distributed on digital TV platforms. Content from the service will be available for 30 days on-demand via BBC iPlayer Radio. Sarah cox, Jamie callum,Jazz fm, top 50; If i had seen Jules Holland's name there , that could have been the final straw that caused the vomitting. Why can't we have a dedicated permanent channel hosted by people who love the form. I love jazz. Shame the BBC don't appear to. ps. Bring back 'Mixing It'.